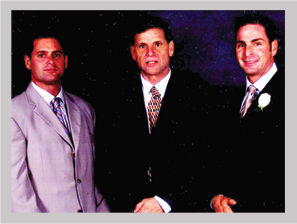 The Memorial Foundation was created in 2009 in memory of Jim Previti’s brother, John, to provide philanthropic support to a wide-range of charitable and community non-profit organizations. The Foundation makes a continued and concerted effort to provide resources to programs that support families and individuals battling substance abuse. Jim Previti has spent nearly two decades volunteering hundreds of hours annually at Inland substance abuse prevention and rehabilitation programs. Jim works one-on-one with others who are struggling to shed their addictions and reclaim their lives. The John P. Previti Memorial Foundation has provided substantial, meaningful support to numerous worthy and reputable organizations across Southern California and the nation. Recipients of the Foundation’s philanthropic support have included Loma Linda University Medical Center, Steven’s Hope for Children, the Hurricane Katrina Relief Fund, the Ontario Montclair YMCA, Make-A-Wish Foundation and HomeAid Inland Empire. Visit the John P. Previti Memorial Foundation website.